Last week BBC teased the world with a photo from Sherlock Series 4 – which revealed little more than some heavy-handed Photoshop (alas!). So, with little out there to whet our appetites and another year to go before we can get a peek behind the doors of 221B Baker Street, what’s a girl to do? Step 1: Take a moment to thank the stars for Netflix, because there are some gems hidden among the rubbish. Step 2: Make yourself a cup of tea—actually just brew yourself an entire kettle – because you’re about to begin a long winter romance with the Tele. Step 3: Get cozy. Clear your weekend schedule, maybe invite a friend to join you (we all need ourselves a Samwise) because you’re about to settle in for the ultimate binge-fest. 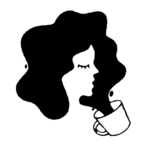 And then hit play because I’m about to give you a list of “musts,” as in you absolutely must watch these 7 shows if you’ve got a craving for dark humor, a penchant for labyrinthine plot twists, and an ache for a good ol’ fashion drama. One of the things that make Sherlock a great show is Andrew Scott’s Moriarty, the titular detective’s arch-nemesis. Moriarty is just as smart as Sherlock Holmes but he’s an absolute maniac sitting atop his throne as King of London’s criminal network. So if you dig that intense cat-and-mouse game between Holmes and Moriarty, you will without a doubt enjoy the dynamic between characters John Luther and Alice Morgan in Luther. Alice Morgan is a murderous psychopath who manages to commit the perfect crime and Luther, while knowing she has done so, cannot find the necessary evidence to pin it on her. What transpires is a complicated relationship that moves between antagonism and confidante. Luther himself isn’t the cleanest cop, with a bad temper and a desire for justice at any cost, and his story is compelling enough to hook you for all three seasons. We all know that during WWII it was all the tough-as-nails, hardworking ladies back home that kept the Allied countries together as the men fought on the front. However, after the war ended and the men returned home, a lot of women found themselves once more without a career and tending to the home. The Bletchley Circle imagines what the brainy women code-breakers at Bletchley Park in England would do if they went from breaking German coordinates to tracking down serial killers. What makes this show particularly wonderful is the dose of girl power that comes from watching four brilliant women do what the police can’t. It’s not a true story but it’s an inspiring one. So very different than Sherlock, Phyrne Fisher is a fabulous Melbourne Modern Woman dressing to the nines (always) and hiding a small gold pistol in her handbag (usually). 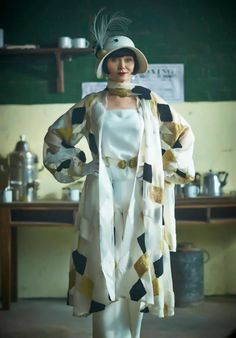 Miss Fisher’s Murder Mysteries is a completely enjoyable romp. The character of Phyrne is so clever and the total embodiment of 1920s chic that you can’t help but get carried along on her adventures – and kind of, secretly, wonder if you too could pull of white trouser suits. It’s a murder mystery show that lacks the severity and grit so often associated with the genre, and somehow manages to be fashionable and – well – fun, even when Phyrne’s caught up in rather gruesome cases. A pure classic, Poirot is based on the stories of Agatha Christie and stars David Suchet as the most iconic (and best!) incarnation of Belgian detective Hercule Poirot. A somewhat rotund and small man, the detective and his companion Arthur Hastings won’t be getting themselves in the same sort of rough-and-tumble jobs as Holmes and Watson, but they will use cleverness and their “little gray cells” to find the answer to even the most puzzling cases. If you’re looking for something with the same high intensity drama as Sherlock, this isn’t going to fit the bill but if you get a kick out of hearing how the littlest of details gives away the most heinous of criminals, get ready to tuck in. Poirot ran from 1989 to 2013, but you can catch up on the first 6 seasons on Netflix now. If you have a liking for the darker side of comedy and enjoy watching Daniel Radcliff fumble about, A Young Doctor’s Notebook & Other Stories is exactly what you need. Right now. Radcliff plays Vladmir Bomgard, a fresh-out-of-medical school doctor transferred to a small country hospital from Moscow. From the very beginning, he’s in a panic and trying to run back to his studies where he – seemingly – excelled. We’re introduced to the young Bomgard in flashbacks from his older self, played by Mad Men’s Jon Hamm. The older Bomgard interrupts these memories by offering advice to his younger, very nervous self. The whole thing is a whizzing circus and Dr. Bomgard just has to go along with it. If we have ourselves a world of Sherlocks, Phyrnes and Poirots, we need villains too. If you’re more into anti-heroes than clean-cut good-guys, tune into Peaky Blinders a British historical crime drama that’s all kinds of brilliant. The period drama tells the story of a Birmingham gang – the Peaky Blinders, named for the razor blades sown into their caps — and their focused leader, Tommy Shelby. Tommy is fresh from the trenches of WWI and has his eyes firmly focused on success. Ambitious and clever, he’s cold, cool and calculating. A bad guy you can’t help but watch. I’ll admit I’m a bit of an addict when it comes to murder mysteries, but I’ve never been able to sink my teeth into shows like CSI or Law & Order. It’s just too many brazen cops and formulaic bad guys for my tastes. While Dicte, a Danish import, is more akin to such beloved American melodramas our focus isn’t on a crime scene investigation team. Rather, we’re following a crime reporter who somehow embeds herself in the cases of the proper police force, much to their frustration. There’s a great deal of back story (and flashbacks) and family drama interwoven in this show, so settle in for a 50-minute-adrenaline-pumping-roller-coaster but come prepared for as many personal mysteries as chalk outlines and DNA scans. So what are you waiting for? I recommend you have yourself some proper shortbread with that cup of tea – it’s too cold for a night on the town anyway. Happy winter watching!